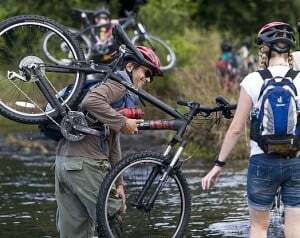 " Satchels and mountain bikes to the nomadic south "
Satchels and mountain bikes, the nomadic south! Clip on the satchels and adjust your helmets! 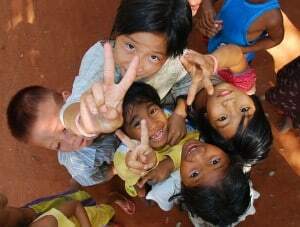 Go on a new adventure through our favorite originally designed itinerary, to explore the heart of Cambodia while biding. 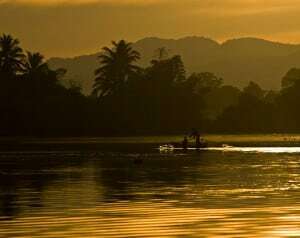 Covering a north-south axis of more than 600 kilometers, from the City of Angkor to the beaches of the south, explore must-see sites and villages whilst meeting the locals. 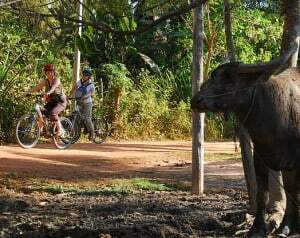 The calves might cramp, but be sure that a complete change of scenery and human encounters when choosing this tour of Cambodia’s wild side is guaranteed. 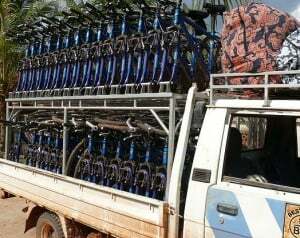 The morning starts by testing the mountain bikes, adjusting helmets, before heading off on a bike adventure, towards Phnom Bok hill. We first stop at Banteay Srei temple, the famous Citadel of Women built in the 10th century. Ride through remote villages on a laterite road. 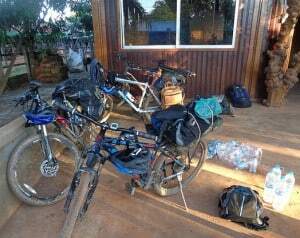 Our first challenge is climbing Kulen Mountain, riding on soil and gravel paths up to the summit (+350 meters). 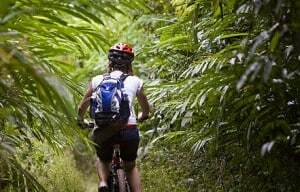 Ride along the only road through the jungle of this sacred mountain. Stop and swim in the waterfall before discovering the lingas carved in the riverbed. 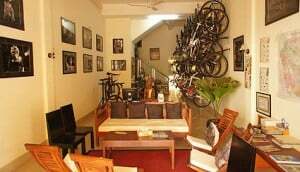 After this rest, much appreciated by all, we ride towards the summit oh Phnom Kulen mountain, where we spend the night in a home stay. Our exploration of the Cardamoms is almost over. 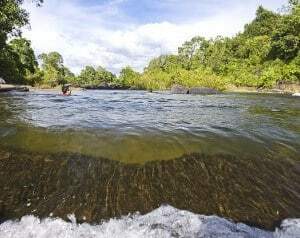 We go by vehicle to the Kampong Chhnang province and Kirirom National Park. Hike at the bottom of Kirirom Mountain. Back to our bicycles and the adventure continues, cutting across narrow paths at the foot of the Mountain. Discover several villages across rice fields. Once we have warmed up, the climb can start. 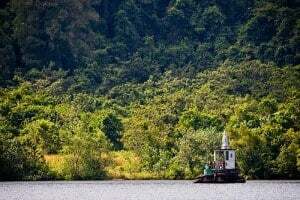 The landscape changes from coniferous forest to tropical jungle and rivers. 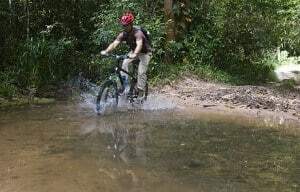 After riding on gravel and dirt tracks, the 400 meters-high plateau is reached. The view overlooks rice fields. We admire the beauty of this park. Small bamboo huts are found here. Stopping our ride, it is time for a picnic and a dip in the nearby river. 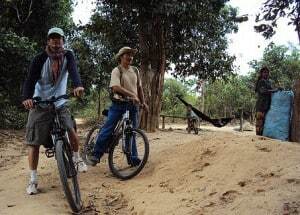 After a nap in a hammock, it is back in the saddle to ride along the forest tracks. 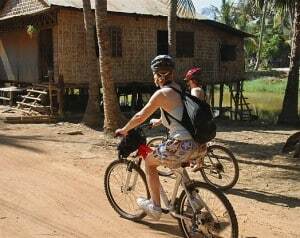 Gradually descending, reconnect with the green rice fields of the Cambodian countryside. Night in a hotel with pool. Early in the morning, another ride in the countryside. We go on a bridge to cross the river . Rice fields and plantations pace the ride. We arrive in Kampot and discover its ancient colonial areas before settling in our bungalows along the river. In the late afternoon, a swim in the river is more than welcome. Our guide offers us a well-deserved aperitif to end the day! Night in a bungalow on the river bank.